Ashok Leyland was the top laggard, falling over 4 per cent to Rs 107.55, followed by Mahindra & Mahindra Ltd. (Rs. 764.00,-3.32%), Balkrishna Industries Ltd. (Rs. 942.00,-1.76%), Apollo Tyres Ltd. (Rs. 234.65,-1.57%) and Hero MotoCorp Ltd. (Rs. 3015.00,-1.41%), among others. Auto stocks got a bear hug on Monday after their monthly sales data for November failed to impress investors. Auto sales numbers in November were a mixed bag where index heavyweight Maruti Suzuki, Ashok Leyland and Tata Motors registered decline in sales, while M&M posted growth in monthly sales. November 2018 was a challenging month for the industry with muted consumer sentiment caused by liquidity crunch, non-availability of retail finance and moderate festive season. 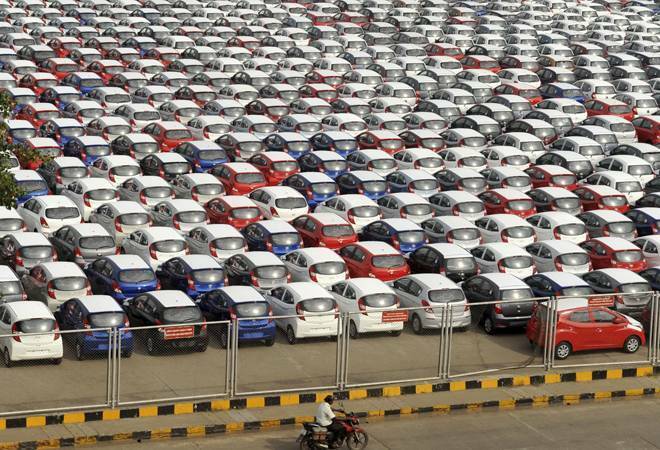 Maruti Suzuki India Ltd, the country's largest passenger carmaker, has reported a marginal drop of 0.7 per cent in its November 2018 sales numbers at 153,539 units, against 154,600 a year ago, due to decline in exports sales. The total export sales slipped to 7,521 units in November as compared to 9,300 in the same period last year. After the strong growth witnessed in the last 7 months, in November 2018, the sales performance of Tata Motors Commercial and Passenger Vehicles Business in the domestic market, for the first time witnessed a drop of 4 per cent at 50,470 units as against 52,464 units over last year, due to low consumer sentiments as a result of liquidity crisis in the industry, higher interest rates and rising fuel costs. The cumulative sales for the domestic market (April-November 2018) was at 447,532 units compared to 344,137 units over last year, a growth of 30 per cent. M&M's November sales jumped 17 per cent to 45,101 vehicles, compared to 38,570 vehicles during November 2017 per cent. The company's domestic sales touched 41,564 vehicles during November 2018, as against 36,039 vehicles in November 2017, a growth of 15 per cent. Hero MotoCorp, the world's largest two-wheeler manufacturer, reported sales of 610,252 units of two-wheelers for the month of November 2018. The company had sold 605,270 units in the corresponding month last year (November 2017).